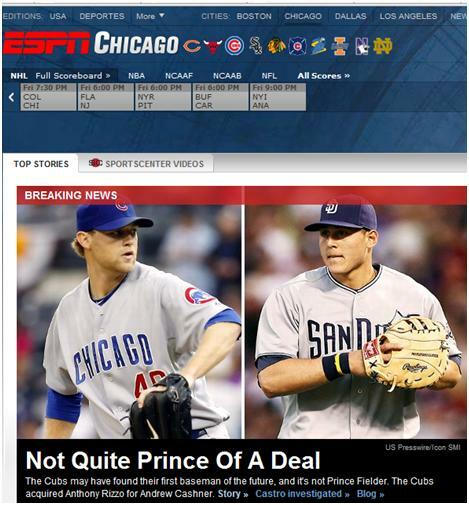 ESPN Chicago: Who Needs Prince Fielder When You’ve Got Anthony Rizzo? This entry was posted in Baseball, MLB and tagged anthony rizzo, Cubs, Padres, prince fielder. Bookmark the permalink.